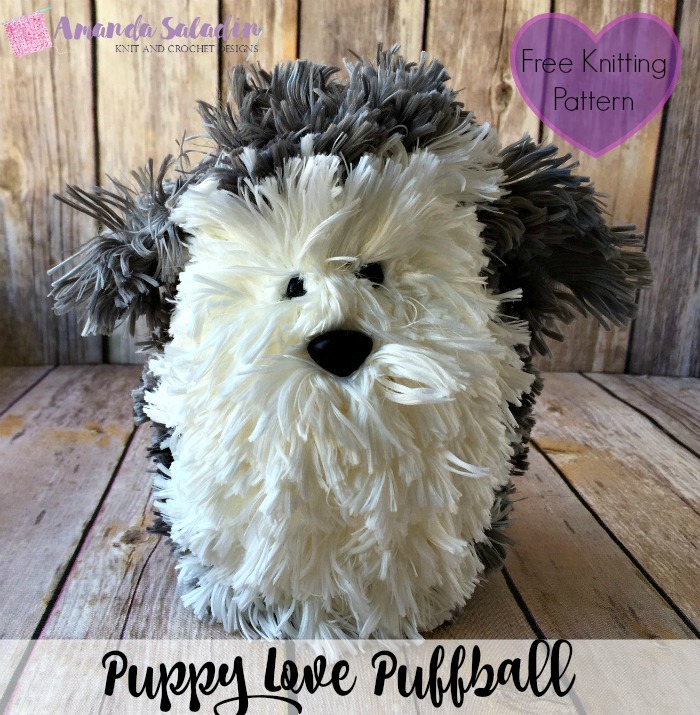 Puppy Love Puffball - Free Knitting Pattern - love. life. yarn. 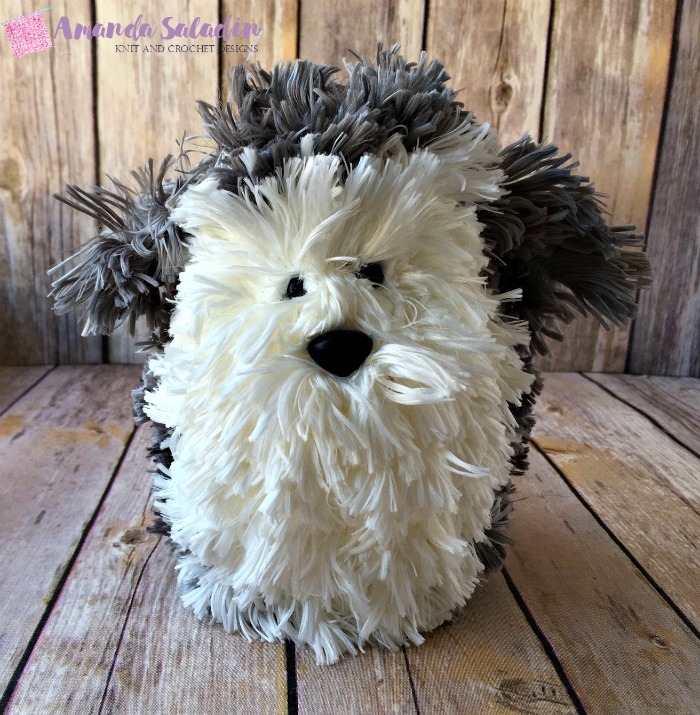 I have been experimenting with crochet stuffed animals for a while and bought this Red Heart Boutique Fur yarn to try out because I thought it would make the perfect animals – it is so soft and, well… furry! When I got around to working with it I found crocheting especially hard because you couldn’t really see your stitches, so I decided to try and knit with it. This is the result!! I’ll admit, though, a dog was not what I thought I was making when I designed this. It was supposed to be a penguin! Haha! As soon as I had the body knit I knew it would end up being another animal, but I wasn’t sure what. When I added the nose and eyes it looked just like a puppy to me, so I gave him some ears and a tail and decided that was all he needed. I thought about feet but they just didn’t look right and it just reminded me of a puffball – so that’s what he is! 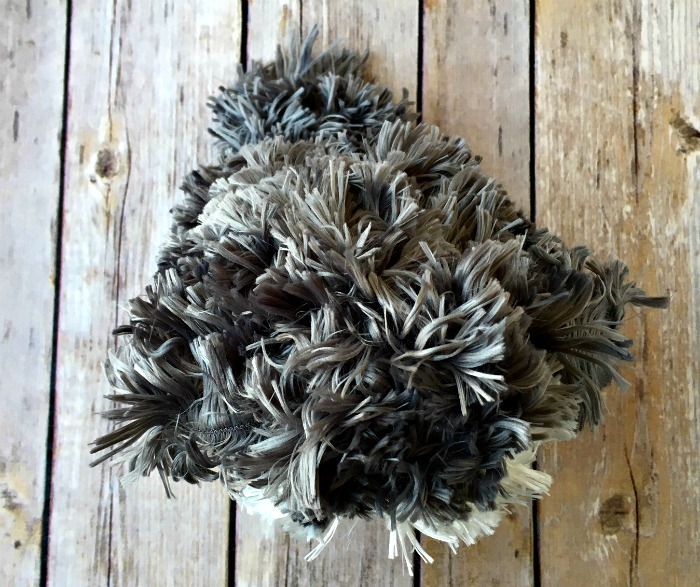 The Puppy Love Puffball. So soft and squishy, too. With MC, cast on 3. Row 1: Knit front and back of each st – 6 sts. Row 2: *K1, knit front and back of next st; repeat from * – 9 sts. Row 3: *K2, knit front and back of next st; repeat from * – 12 sts. Row 4: With MC: K1, knit front and back of next st, k2, with CC: k4, with MC: k2, knit front and back of next st, k1 – 14 sts. Row 8: With MC: *K2tog twice, with CC: *k2tog three times, with MC: *k2tog twice – 7 sts. Rows 9-10: With MC: k2, with CC: k3, with MC: k2. Row 11: With MC: k2, with CC: k2tog, k1, with MC: k2 – 6 sts. Row 12: Knit all stitches with MC. Row 13: With MC: *k2tog; repeat from * – 3 sts. Cut yarn, leaving a long tail. Draw yarn through remaining sts and draw tight. Place eyes and nose and attach securely. Use tail end to sew up back seam, stuffing with fiberfill before closing seam completely. With MC, cast on 3 sts. 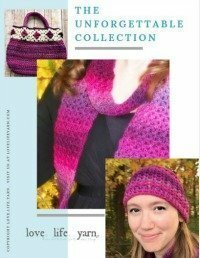 The ears really aren’t knit – anything that I tried to knit was too bulky. Take a strand of yarn and loop it as long as you want it to be, then use your yarn needle to draw the yarn through to the other side, loop it the same length as the first ear and draw the yarn into the body, then weave in your ends. You might need to trim the fur around the eyes and nose a bit to keep them from getting swallowed up in the fur. I had to on this one but I am working on another puffball pattern that I didn’t need to so I guess it just depends on how well your eyes and nose hold the fur down. A little bit of trimming doesn’t hurt just don’t cut it too close. That’s it! I found this to be such a quick knit and it turned out so cute, too! Have you ever made anything that turned out to be something else? It happens to me with stuffed animals all the time! They still turn out well, just not the animal I set out to make (this definitely didn’t turn out to be a penguin! Still cracks me up ;). Leave a comment below! Very cute. I have this yarn but in a turquoise (I think) , super soft yarn. Still trying to figure out what creature to make with it though. This is absolutely ADORABLE! Just love it! TY so much for the pattern! I’ve never seen a fluffy penquin LOL but I sure love this lil dude! I am really lost, I tried to make this, but don’t understand, when I change colors, it leaves a straight piece of yarn across the white on the rows that I did, which is obvious and looks bad. then, it doesn’t say anything about sewing it up so I can stuff it. The picture looks so cute, and I love the yarn. What is the obvious thing that I am missing??? Yay! So glad you like the pattern. 🙂 I’ve made one of these in a solid color, too and it looks just as cute. I tried to crochet with the yarn and found it challenging but knitting was great! I really wanted to do this pattern, it looks just like my little terrier mix. Sorry, I found it impossible to do the increases; can’t see or feel what I’m doing, and I’ve been knitting for 36 years. Stockinette works ok so I guess I can make a skinny scarf out of it, at least.